Just released on iTunes last month, the mobile version of the formerly Web-only MicroExplorer 3D is now available as a free app on iPhone and iPod touch. 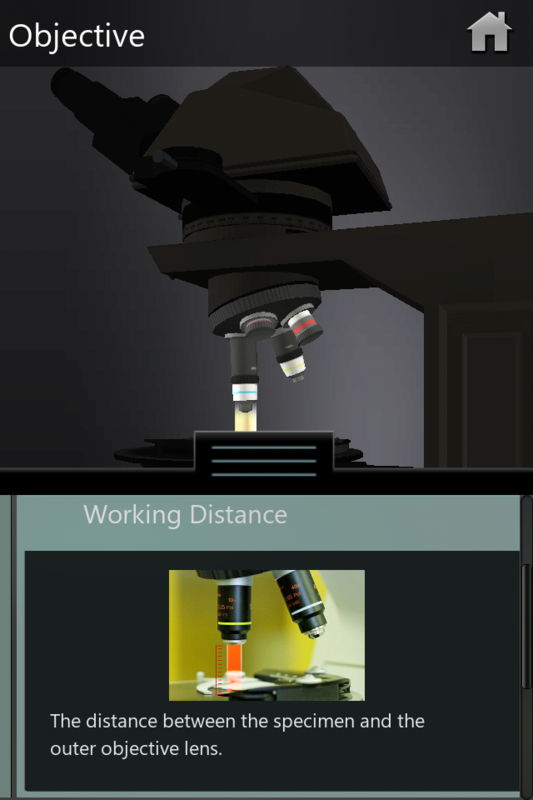 Part of the Mobile Learning Initiative at NC State University, this app uses touch-based navigation to allow users to examine the different parts of a 3D-rendered compound microscope. By tapping individual parts of the microscope, they can pull up a menu and read embedded text, video and images about each of the components. Although originally created as a web application for the distance education section of Introduction to Fiber Sciences (TMS 211), this app is useful to anybody who wants to learn the parts of a compound microscope. The MicroExplorer 3D application earned national recognition in the 2012 NMC Horizon Report for its simulation of a compound microscope. This report documents upcoming trends in educational technology and predicts where they will go over the next five years. Ruth Smith, DELTA Instructional Designer and Project Manager for this course, worked on the project and has high hopes for the future of mobile technology at DELTA and at NC State as a whole. She believes that the capabilities and potential of mobile technology make it highly valuable to a wide range of courses. When Smith and Amanda Robertson, DELTA Assistant Director of Educational Media Development, sat down with the subject matter experts to identify the lab’s learning objectives, they determined that it was not essential for students to use a physical compound microscope to identify fibers. 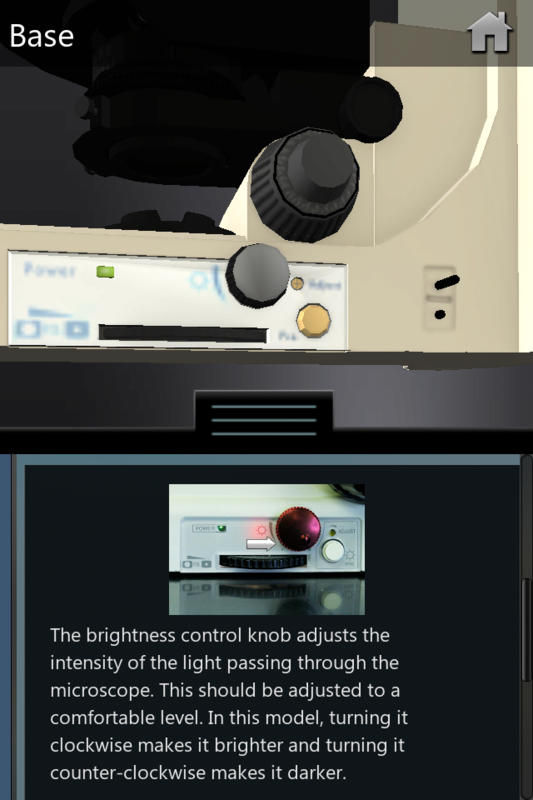 Another learning solution, the Virtual Viewer, was developed to allow students to examine slides of fibers. However, students did need to learn the parts and functions of the microscope in preparation for future courses. They determined the best method to effectively teach students about compound microscopes without requiring access to one would be an interactive 3D model with labels, explanations, and videos. Thinking ahead, the development team decided to develop the MicroExplorer 3D with Unity 3D, a game engine that would allow them to create interactive content across several platforms. 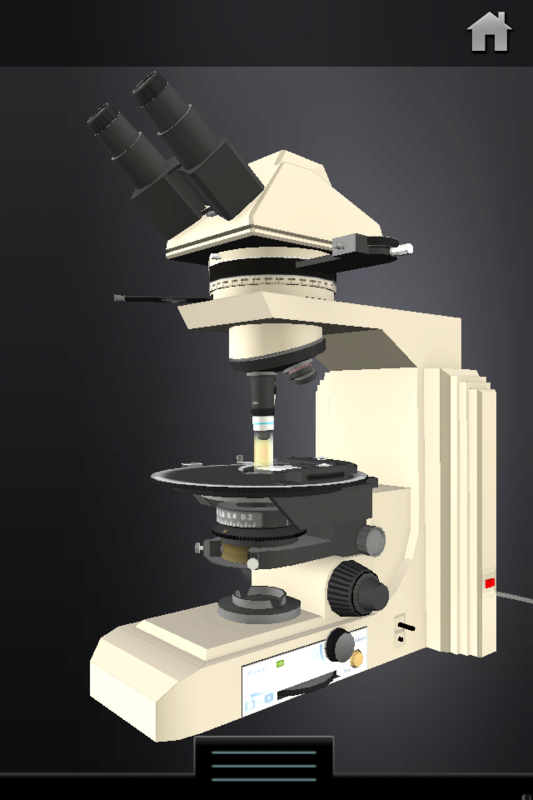 Using 3D affords the microscope dimension so users can get a better grasp of the size, scale and position of its components. After the browser version of MicroExplorer 3D was complete, developing a mobile application was the next step. Unity 3D, which supports several platforms, allowed the team to easily transfer assets to an iOS platform. With mobile devices becoming more ubiquitous in university settings, the development team felt students would appreciate this kind of instructional resource. Though it was DELTA’s first foray into using Unity 3D, the engine did make the transition to a mobile platform easier while giving the team an opportunity to further explore its potential and capabilities. Detailed view of the contrast dial. There were challenges in moving to a mobile platform, explained Robertson, one of which was keeping the freedom of navigation without sacrificing content. Transitioning to mobile technology limits you to a much smaller display screen, she said. Keeping the mobile version fairly close to the web counterpart was important so that users could more easily switch between the two versions. According to David Tredwell, a DELTA Multimedia Specialist who worked on this project, an advantage of the mobile application is the focus on touch, making it more fun to interact with. Exploring an object with your fingers is, by its very nature, much more intuitive than manipulating it through devices like a mouse or keyboard. The differences in navigation between these two platforms, however, necessitated a few adaptations in the mobile application. Making the mobile application completely intuitive turned out to be more challenging than the team had initially anticipated. The development team needed to provide a way to narrow in on specific components for detail. For this function they decided to assign a “double-tap” gesture to targeting a specific part of the microscope. However, some users were at first unfamiliar with this gesture. 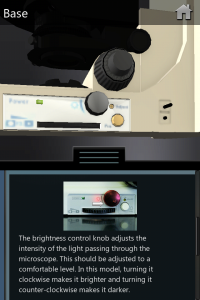 Images and text explain the different parts of the microscope. Given the amount of research and development that went into each phase of the MicroExplorer 3D, Robertson thinks that the DELTA team has come a long way in understanding the requirements for mobile applications. She believes that the experience will be invaluable when considering improvements to existing applications and developing new applications in the future.